With the recent relaunch of a falcon 9, I'd say it's better late than never. However Ariane 6 might now be obsolete before it has even flown. COLORADO SPRINGS — The European Commission will commit to buying at least five Ariane 6 and two Vega C launches per year when both rockets are in operation, Elzbieta Bienkowska, the European Commission’s lead space commissioner, said Wednesday. Ariane 6's first flight is planned for 2020! But we're already building the plant where we'll assemble the launcher's main stage! There's a time lapse video with the tweet but seems to be just groundworks at this point. AirbusSafranLaunchers #ArianeGroup signs EUR 170M Ariane 6 tank/structures contract w/ #OHB's MT Aerospace. 12/yr production capacity. Note: this is the same Airbus subsidiary that also constructs the engine frame for stage 1 of Ariane 5, the 1/2 interstage for Vega and has constructed the 1/2 and 2/3 interstages for Ariane 1 thru 4. This is a SpaceX fairing, not an Ariane 6 item. Que? You got your threads mixed-up Hobbes? my apologies, there was a cache issue on my browser, so the 3rd image in FutureSpaceTourist's post showed up as a photo of a recovered F9 fairing for me. 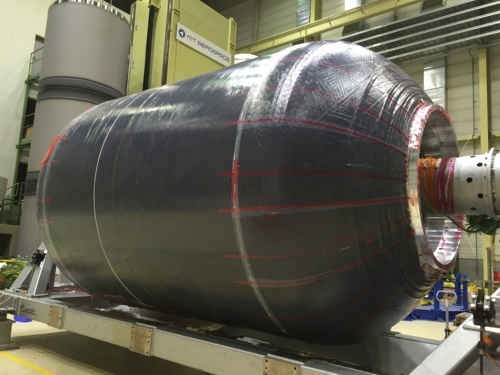 On the their website the payload performanc is now listed as "up to 12 tons to GTO"
The Materials Testing Institute University of Stuttgart received a tech demonstrator of the P120C booster for Ariane 6. Diameter 3.5 meters, height 6 meters. It will be filled with 56,000 liters water and then pressure tested to destruction. The European Space Agency (ESA) is developing a new-generation launcher, Ariane 6, and the Materials Testing Institute University of Stuttgart will contribute its part. The key verification test of the future solid-rocket booster – based on fiber composite for the first time – will be performed in our 32 meters deep inspection shaft. The verification test is supposed to reassure that the new-generation booster will meet the requirements of a rocket launch. It is devided in two parts. 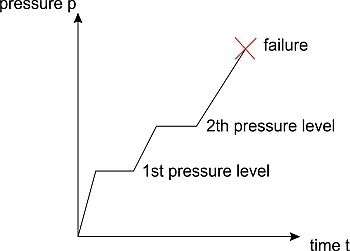 After the booster has been filled with water, two different pressure levels are generated in the first part and the measured values are recorded. In the second part, the water pressure is gradually increased until the test specimen fails. Before the actual verification test can take place, some preparations have to be made. To analyze the material and component behavior in detail a lot of measurement instrumentation is needed. As written crosspost from the discussion topic. The participents were representatives of: the EU, ESA, France, Germany & Italy, EUMETSAT and Arianespace. Discussions belong in the discussion threat. That's good news. Which is the share of the total Ariane 5 cost is due to the Vulcain 2 currently? Stéphane Israël (Arianespace) : "La première fusée Ariane 6 volera le 16 juillet 2020"
I wonder what is this about... Adeline? Hmmm, something is cooking.... You'll find out what in a few days! At the European spaceport in Kourou, French Guiana, the new launch facilities for ESA’s Ariane 6 launcher are being built. With the Ariane 6 launcher and the upgrade of the Vega to Vega C Europe expands its launching capacities by creating versatile launchers which meet market demands. At the same time ESA supports both institutional missions and European industry as both Ariane 6 and Vega C will be fully European. With Ariane 6 and Vega C Europe secures its independent access to space for years to come.